Little is known about Samuel O'Reilly and most of what we know about this New York City tattooist comes from newspaper articles and the 1933 book Tattoo, Secrets of a Strange Art by Albert Parry. Neither are the most reliable of sources. But Carmen Nyssen has pulled back the curtain on O’Reilly and we would like to thank her for her help with this update. Public records show that O’Reilly was born in Connecticut and enlisted in the Navy around 1875. O’Reilly stated that he learned tattooing while in the Navy. After the Navy he had a run in with the law in his hometown of Waterbury on burglary charges and did some time. This would take us up to early 1880s. The Brooklyn New York city directory listed him as an operator in 1886. 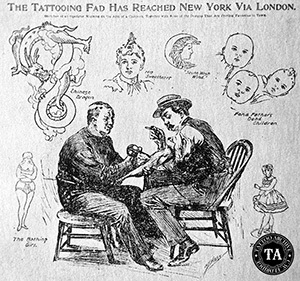 A news article from 1888 listed a tattooist name James O’Reilly tattooing at the Chatham Square Museum. It is know that Samuel O’Reilly tattooed there so maybe that was just a mix-up on the first name. Although the city directories did not list O’Reilly’s occupation, a news article from 1890 had him at the Chatham Square Museum as tattooer and attraction. 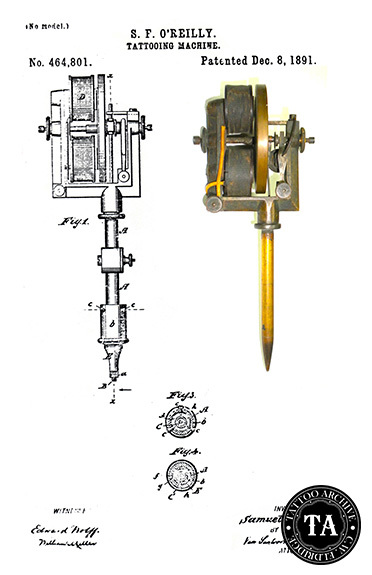 On December 8, 1891 Samuel O’Reilly was granted a patent (# 464,801) for the first tattooing machine. It is unclear if O'Reilly was able to capitalize on his patent idea. Only one of the machines is known to exist and it is without the unique tube assembly. There is no information on O'Reilly ever selling this machine or operating a supply business. By 1899 in the Southern District of New York, court papers were filed claiming that Elmer Getchell was infringing on O’Reilly’s machine patent. 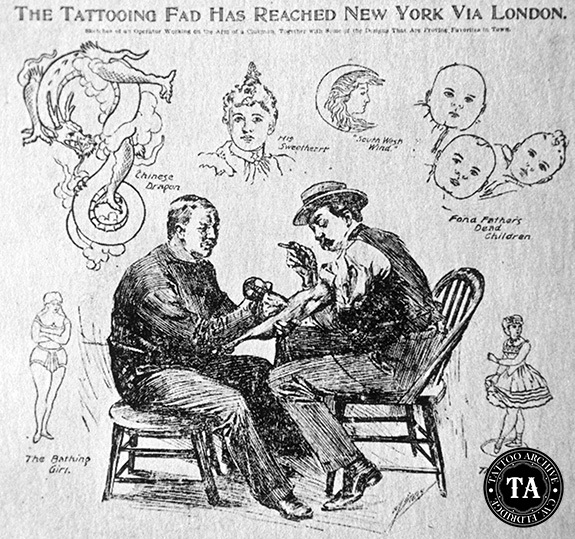 The battle was so public that The New York Times ran an article on February 6, 1900 with the headline, “Tattoo Artist at War.” These artists worked together at one time but had a serious fall-out over this machine patent and the court battle had no clear resolution. The 1901 New York City directory found O’Reilly at #5 Chatham Square and Getchell at #11 Chatham Square and ironically they both lived in Brooklyn. Elmer Getchell let New York soon after and O’Reilly moved into the #11 Chatham Square location and remained there until his death in 1909. 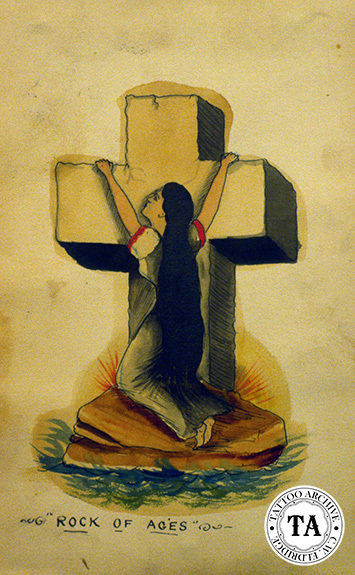 On May 1, 1909 The Brooklyn Daily Eagle ran the story that Samuel O’Reilly, “The Tattoo Man” had taken a fall from a ladder while painting his house and died from a head injuries.